The health-related programs at Dalhousie University are committed to providing their students with a wide-range of interprofessional experiences and opportunities. Many of these activities are centered around the state-of-the art Collaborative Health Education Building, which provides students with an opportunity to learn in an environment that more accurately reflects real world health-care practice. 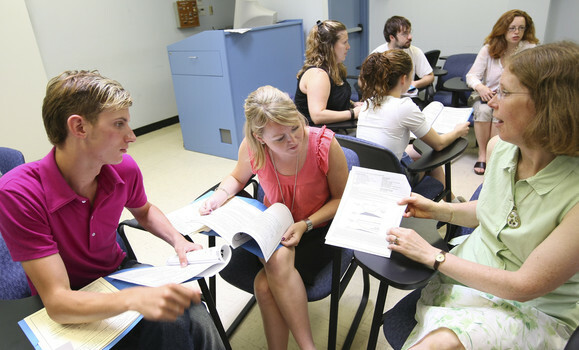 Students enrolled in the speech-language pathology and audiology programs at the School of Communication Sciences and Disorders (SCSD) participate in a number of clinical placements during their three years of study. These clinical placements take place in a variety of settings, including hospitals, schools, and public or private clinics. Furthermore, SCSD students complete clinical placements with various client populations, including opportunities for placements with culturally and linguistically diverse clients. We rely on the generosity of speech-language pathologists and audiologists, within Nova Scotia and throughout the country, who serve as clinical educators for our graduate students. This section of our website is meant to provide SCSD students and clinical educators with information about our practicum placements, as well as access to the resources and forms used during those placements.